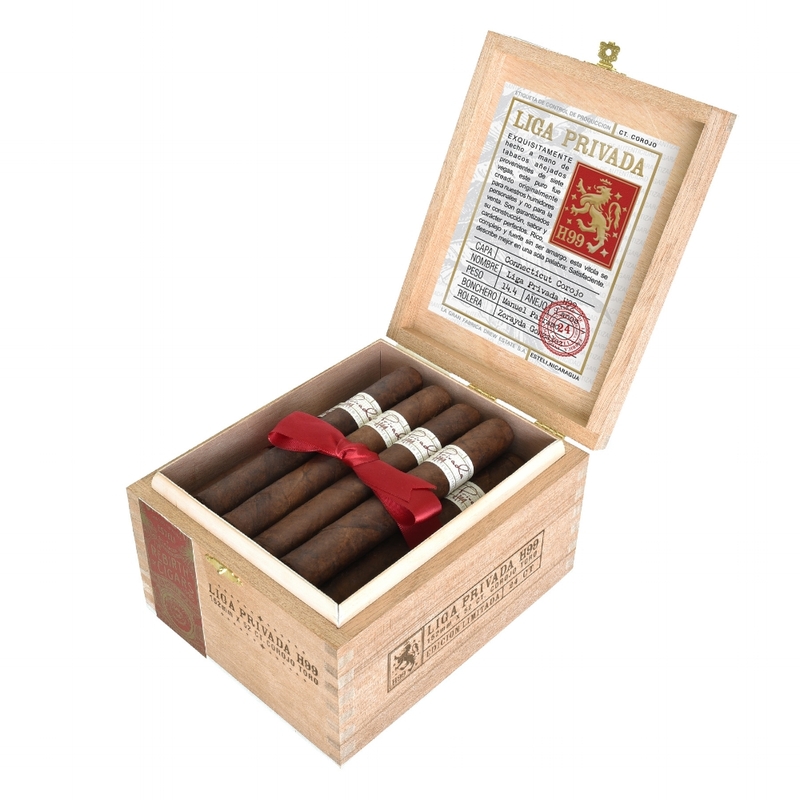 Drew Estate announced the release of Liga Privada H99 Connecticut Corojo, which will be added to the celebrated Liga Privada lineup that includes No. 9 and T52. The new cigar will make its debut at the IPCPR trade show in Las Vegas this weekend. H99 features a Corojo wrapper grown in the Connecticut River Valley, a San Andrés binder and fillers from Nicaragua and Honduras. The 6 x 52 cigar will be packaged in 24-count boxes that carry an MSRP of $343.92 per box. Drew Estate’s announcement of the product notes that the company plans to add additional vitolas.